It's portable, it's user-friendly, and it sounds great! If you can breathe, you can play the harmonica. It's a perfect complement to guitar and is heard on most of Jack's recordings. 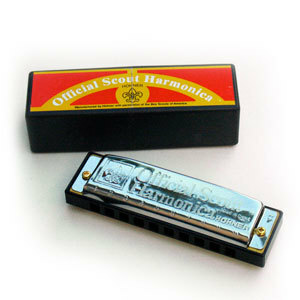 The Hohner Harmonica is a fine way to get started on playing this popular little instrument. It comes in the key of C and has a handy carrying box.